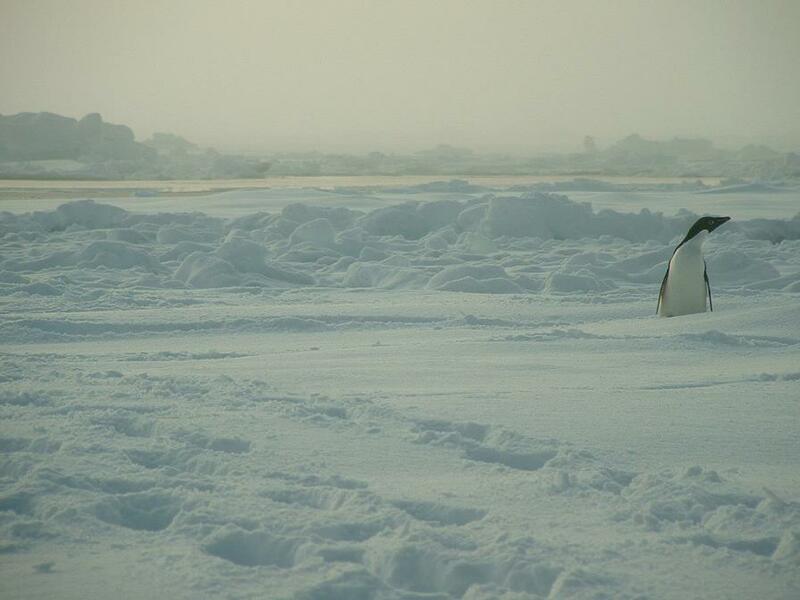 Ad�lie Penguin sitting on an ice flow in Crystal Sound close to the N.B. Palmer. Diet samples from three Ad�lie Penguins revealed the birds were feeding mainly on krill (Euphausia superba) (Photo by Baris Salihoglu ).